A slit lamp examination allows our optometrist to see a magnified, three-dimensional view of your eye. We use a specialised microscope that has an illumination system, or light source. The light focuses into a single intense beam that can be shifted anteriorly and posteriorly into the eye, allowing our optometrist to view your eye structures in great detail. 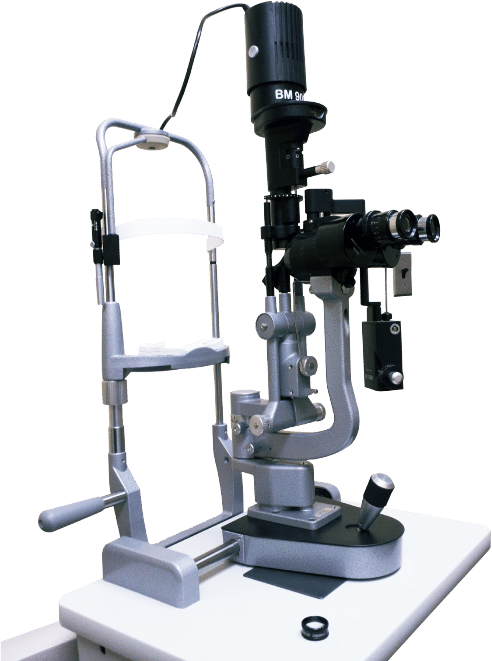 Why is Slit Lamp Examination important? It allows our optometrist to thoroughly look into your eyes for any problems or abnormalities. It can reveal common pathologies like blepharitis, cataracts, conjunctivitis, meibomian gland capping, pterygium and other ocular diseases. It can help diagnose blockages of retinal vessels, cataracts, corneal injuries, glaucoma, macular degeneration. Your optometrist will be able to find out what eye conditions you are at risk for and give you the proper advice. Our optometrist will raise or lower the height of your chair until you will be at a most comfortable position during the exam. You will be asked to rest your chin on a chinrest and place your forehead against a bar. 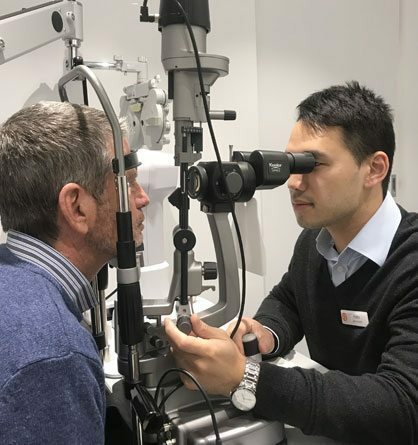 Our optometrist will examine all areas of your eye, including the eyelashes, eyelids, lid margins, conjunctiva, pupil, iris, lens, sclera, cornea, retina, vitreous and optic nerve. After the exam, your eyes may be sensitive to light for a while, especially if your pupils were dilated. Refrain from driving immediately after your exam. HAVE YOU HAD YOUR EYES CHECKED? At Your Most Convenient Location.